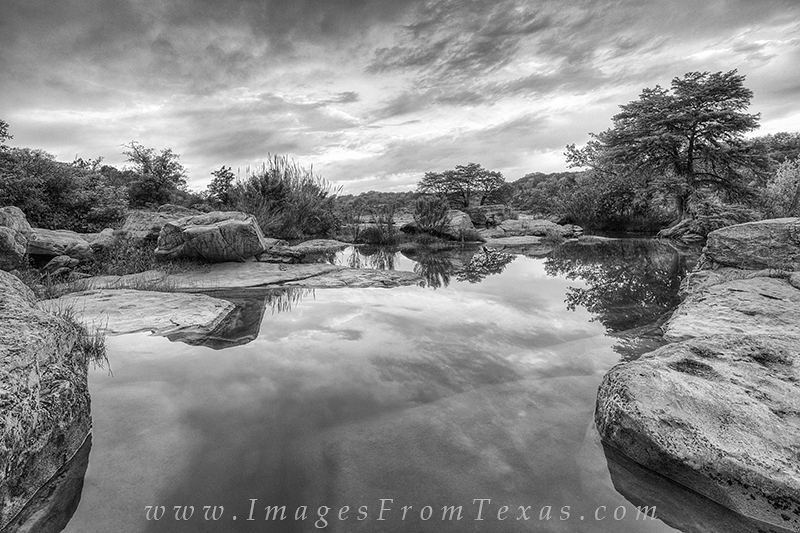 On a still April morning in the Texas Hill Country, this black and white photograph shows the pools of Pedernales Falls State Park with reflections of the clouds as they drift overhead. This is one of my favorite places, and I try to get out here at least once a month. Photo © copyright by Rob Greebon.